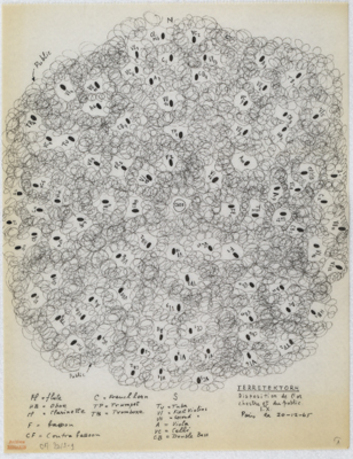 Iannis Xenakis, Study for Terretektorh (Distribution of Musicians), December 20, 1965, Ink on paper, 9 x 9", Iannis Xenakis Archives, Bibliothèque Nationale de France. Iannis Xenakis: Composer, Architect, Visionary explores the fundamental role of drawing in the work of Greek avant-garde composer Iannis Xenakis (1922–2001). A leading figure in twentieth-century music, Xenakis was trained as a civil engineer, then became an architect and developed revolutionary designs while working with Le Corbusier. 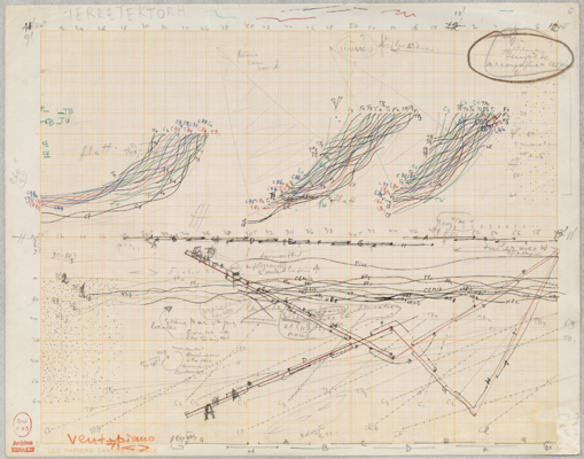 Comprised of nearly 100 documents created between 1953 and 1984, this is the first North American exhibition dedicated to Xenakis's original works on paper. 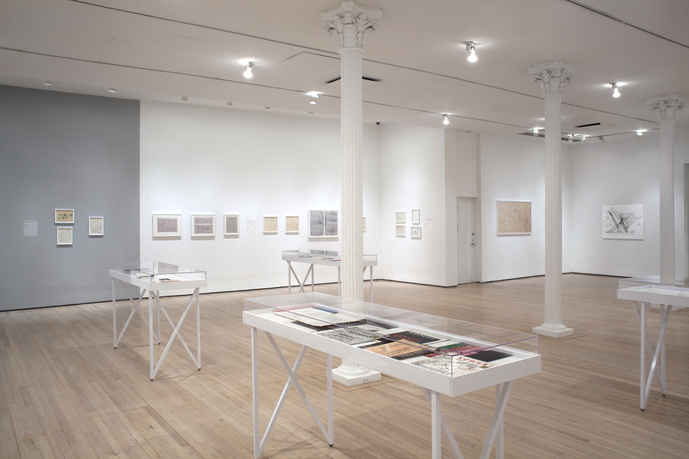 Included are rarely-seen hand-rendered scores, architectural drawings, conceptual renderings, pre-compositional sketches, and graphic scores. Iannis Xenakis: Composer, Architect, Visionary is cocurated by Xenakis scholar Sharon Kanach and critic Carey Lovelace, and will travel to the Canadian Centre for Architecture (June 17–October 17, 2010) and the Museum of Contemporary Art, Los Angeles (November 7, 2010–February 13, 2011). Iannis Xenakis was born in 1922 in Braïla, Romania, and died in 2001 in Paris, France. A Greek Resistance fighter in World War II, he fled to France as a political refugee in 1947. After obtaining an engineering degree from the Athens Polytechnic Institute, he collaborated with Le Corbusier in Paris from 1947–59. From 1950–53, while working with the architect, he studied composition at the Paris Conservatory under Olivier Messiaen. Xenakis's collaboration with Le Corbusier as an engineer and architect yielded innovative projects such as the Couvent de La Tourette (1955) and the Philips Pavilion at the Brussels World's Fair (1958). Xenakis was also a speculative thinker and the author of books such as Formalized Music: Thought and Mathematics in Composition; Music and Architecture; and Arts/Sciences: Alloys. He was the founder (1965) and director of the Center for Studies of Mathematical and Automated Music (CEMAMu) in Paris. 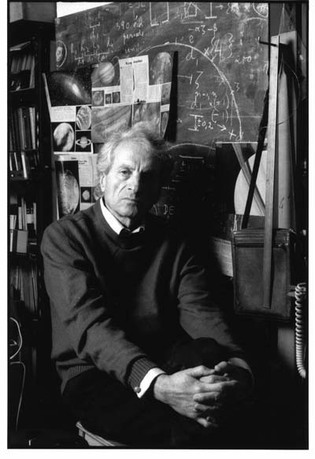 Iannis Xenakis was awarded the Kyoto Prize in 1997, considered the Nobel Prize of music, and the Polar Prize in 1999.